Prior convictions: If a defendant has a driving under influence conviction within the previous 10 years, the defendant’s minimum jail sentence, DUI school attendance, and license suspension are increased. High blood-alcohol content level: California increases a driving under influence sentence when a convicted defendant’s blood-alcohol content level was 0.15 percent or higher. 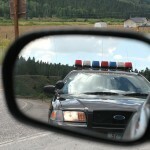 Speeding and reckless driving: If an intoxicated motorist drives 20 miles-per-hour over the speed limit on a surface street or 30 miles-per-hour over the limit on a freeway, the sentence is increased. Child endangerment: A higher penalty is imposed when there is anyone under the age of 14 in a vehicle at the time of a DUI stop. Accident or injury: Property damage can trigger a more severe sentence; if a personal injury is involved, the driving under influence can be charged as a felony. Prosecutors must prove any of these enhancements beyond a reasonable doubt; a good California DUI defense lawyer will challenge that evidence and work aggressively for your defense. In some cases, it’s smarter to admit easily-proven facts (a child under 14 was in the car, for example) and fight the charge on other grounds (perhaps, for example, police had no cause to stop you in the first place). 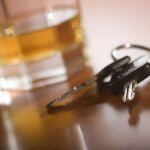 In some cases, a defendant may be willing to plead guilty to the simple DUI charge but contest the enhancement. If you face any driving under influence charge in California, get the legal help you need and contact an experienced DUI defense attorney immediately.